Planning to spend some time in mainland HaLong Bay? HaLong Ginger Homestay was our home away from home for a night, and we really loved it. This beautiful, cozy property, offers a variety of room options and styles, so, whether you're travelling solo or with a group, you'll be able to find something that works for you! Breakfasts are delicious (and included), and the hosts are incredibly helpful with arranging things to do or transportation around the area! They even have a cooking school on-site that was undergoing renovation during our stay. 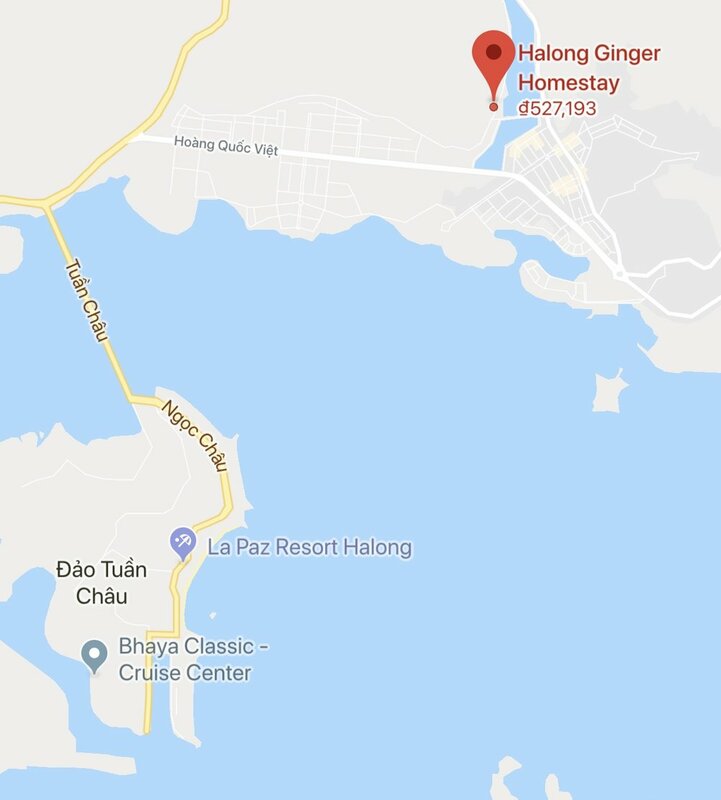 Keep reading to find out more about HaLong Ginger Homestay's location, property and how to book your stay. The HaLong Ginger Homestay is centrally located about 2-3km away from the beaches and downtown, and only 7km away from the pier. Our limousine bus from Hanoi dropped us off right at the front door. Located on the second floor of the house, it has a large, comfy bed, a private bathroom, and a private balcony overlooking the beautiful garden downstairs. This is a great spot to enjoy your breakfast or coffee in the morning. The "Mango Room" is a cozy double bedroom on the second floor of the house. It has one double bed, a beautiful garden view, and is perfect for couples or solo travellers. This room is also upstairs in the house. It has two bunk beds and can hold up to four people. Book a bunk for yourself or the whole room! Though there isn't an ensuite bathroom in the room, the toilet and shower are conveniently located just across the hall. Located in the garden, these little wooden bungalows are a quirky, adorable (and totally Instagrammable) place to stay. Choose from the bungalow with one double bed or two twin beds. These options also have a shared bathroom. There are four bedrooms in the main house, allowing for a total of 10 guests to stay comfortably. If you're travelling with a large group, book the whole house on AirBnb for a low nightly rate! New to AirBnb - see the link at the end of this article to find out how you can get $40 off your first stay! The Halong Ginger Homestay is home to the Ginger Cookery. Though their space is currently under construction, they typically offer a variety of courses based on the season. Hike Bai Tho Mountain! This is an absolute must if you're staying a night here! The beginning of the trail is across the bridge, and there isn't really a safe walking space for pedestrians. I'd recommend getting a grab or taxi! For updated prices and availability, contact HaLong Ginger Homestay directly via email at gingerhomestay@gmail.com. Many of their rooms can also be booked on AirBnB or Agoda.com. Sign up here for $40 off!